I met This boy today at Carson Shelter. He is a Poodle Toy 6 months he has zero chance of making it out alive sadly. He is so very sweet and loves people. Gives gentle kisses and loves any human attention. Pls go by and let him before he is gone forever. No one wants This boy. Poor baby is so thin. But yet still loves people. Go figure. Pls share him or rescue or foster if u have room. He is worth a chance. Thanks. At just 6 months old this cutie needs help now. Please SHARE, he's SO precious he needs a FOSTER or ADOPTER NOW. Thanks! 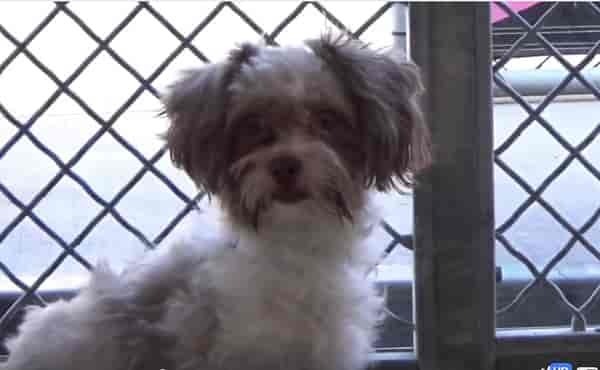 #A5125532 I'm an approximately 6 month old male Poodle Toy. I am not yet neutered. I have been at the Carson Animal Care Center since 10/29. I will be available on 11/2. You can visit me at my temporary home at C222. 13 Responses to "At just 6 months old, this boy has zero chance of making it out alive sadly"
It should be illegal to kill a baby! I'm sure the pup is adoptable even @ Carson! Cruel and unacceptable! We all should throw in the towel if a 6 mo. old toy poodle X is going to be killed for lack of an adopter. Have you contacted the pound? I hope you can help. No one wants him? And why not? He is adorable, friendly. The shelter is not promoting him which is what you do when people come to look for a puppy. Walk him outside so people can see him. DO NOT PUT THIS DOG DOWN. There is no reason. You have made people hysterical about this very adoptable puppy that will not even be available until Nov. 2nd. This is not fair to dogs actually in danged! where is the link for this baby? How do you post something with out the link? Send me this baby to Florida. I would take him in a heartbeat. Send this baby to Florida. I will take him in a heartbeat! How can I get him to Maryland, I'll take him. what are you talking about this baby has no chance? he's young, cute and fluffy. He has a very good chance of making it out alive. The brown and black chis, all the bully breeds, the random terriers, the old and sick are the ones that really struggle and most don't make it out. I get the instinct to promote all, but a puppy is almost never put down even at Carson. Just saying.